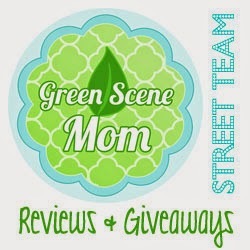 Trying To Go Green: Baby Spa Review & Giveaway 2 Winners! Baby Spa Review & Giveaway 2 Winners! Bath time is very important to me at out house and I want to use great quality products and also nourish our little guys skin. We were excited to try out 3 of Baby Spa's products. I will first start with their 3 in 1 Tearless shampoo Body wash and Moisturizer and it retails for $10.99. Our Stage One Tearless Shampoo, Body Wash and Moisturizer is a unique all-in-one formula with a snuggly fresh baby scent that will maintain hair and skin soft and naturally moisturized. Pamper your baby with soothing ECOCERT® certified ethnobotanicals such as Songa™, used by ancient Native Americans for its therapeutic and skin nourishing properties. Our combination of Organic Chamomile, Calendula and Rosemary calms the senses while Aloe, Shea Butter, Olive and Avocado oils create a natural cleansing blend rich in emollients that deeply hydrate from head to toe. This wash smells great and I love it it lathers nicely and I feel that baby is totally clean after using this. The next item that we tried out is their Moisturizing Body Lotion and it retails for $9.99. Our silky-smooth Stage One Moisturizing Body Lotion is formulated with patented Swiss moisturizers to provide an immediate soothing effect and long-lasting hydration. Nutrient-rich emollients such as Olive, Joboba and Grape Seed oils are naturally blended with Songa™, an ECOCERT® certified, skin conditioning botanical used by ancient Native Americans to gently nourish and soften your baby’s delicate skin. Infused with our signature baby fresh scent, our non-greasy and easily absorbed formula also combines Organic Aloe, Chamomile and Calendula to provide instant freshness, a relaxing comfort and a sensory spa experience. This smells great as well and doesn't leave his skin wet or greasy feeling. I like to do a body massage for him with this lotion after bath time. The last product we tried is their Soothing Face cream and it retails for $10.99. Nourish and protect your baby’s delicate skin with our Stage One Soothing Face Cream, an ultra-mild and light formula that combines organic botanical and patented Swiss moisturizers. Songa™, an ECOCERT® certified ethnobotanical, traditionally used by ancient Native Americans for its soothing properties, is blended with gentle skin conditioners such as Jojoba Oil, Beeswax, and Shea Butter to provide moisture and long-lasting nourishment. Infused with natural emollients, our Soothing Face Cream hydrates and supports the natural balance of your baby’s skin to maintain its soft and supple texture. This baby has super sensitive skin and this was so great for him it did not irritate him skin and I will be continuing to use their products. The prices are great and they have gift packs in different stages to fit every one's needs. All of the products above are from their Stage 1 line and they are also in the Stage 2 line as well. 2 lucky TTGG followers will be winning their choice of a Stage 1 Baby Essentials Gift Set or a Splish Splash Stage 2 Gift Set. I'd probably choose the Splish Splash - Stage 2. Mommy and me stage 1 would be perfect! I would choose the Stage 1 set. Stage 1 Baby Essentials please. I'd love the Baby Essentials set 1 if I won! I would choose stage 1. I'd choose the Baby Essentials gift set- I'd love to be able to give it as a shower gift to a friend of mine. Splish Splash Stage 2 would be our pick!! I received a sample of this before and it smells amazing! I would choose stage 2. I would choose Stage 2. I'd choose Stage 1...... However, since we have a toddler and preschooler too, a Stage 2 set would work as well. I would choose the Stage 1 set for my new little guy due in May! This spa will be useful to all child. Bath time spa is essential to all babies. Those products is very quality. Every one can use those of skin lotion for Bath time spa. I have liked those of products and must buy for my baby Bath time sap.